This news just vomited out of the RPS ticker-tape machine marked “side scrolling ultra hard platformer news only!” Snowflake’s Chance [official site] is a hand-drawn platformer about getting a bunny out of hell. You have 99 lives to escape this scratchily-drawn Stygian abyss as Snowflake the rabbit, and every time you die your evil counterpart becomes stronger. “You are weak and ineffectual!” screams the game’s description. “Don’t slip!” There’s more to see in this trailer. Warning: contains lots of rabbit death. As you can see, it’s got a pleasant sketchiness to the animations and environment. 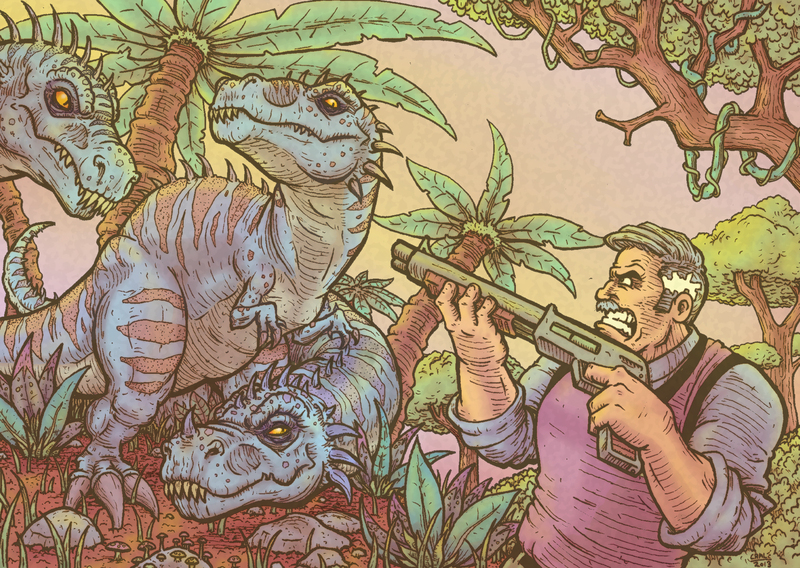 It’s all the work of artist Carl Morgan who can also draw quite good dinosaurs. Here’s what the game will entail. “Claw your way back up 21 brutal levels across a variety of areas. Enlist the help of other unfortunate critters to aid in your escape. You will need to run, dodge and hide from your enemies to make it through. I’m not sure what happens if you run into the Evil version of yourself but I expect it is not tea and cakes. The game is currently on Steam Greenlight, where we are told it is inspired by Abe’s Oddysee, Spelunky and Heart of Darkness. Not bad influences, although I’m not sure how many folks remember the latter PlayStation 1 tale, which was about a boy who fought shadow monsters to save his dog, rather than an unsettling and perilous trip down the Congo. Tagged with Carl Morgan, Steam Greenlight, Snowflake's Chance.